Update, February 14: San Francisco Shock’s #BabyBayChallenge could see $10,000 donated to charity. San Francisco Shock have pledged $1 per #BabyBayChallenge post up to $10,000, to National Alliance on Mental Illness. Find out more about the Overwatch League teams. The announcement was also shared on Twitter, where the team encouraged fans to keep taking thirsty selfies for charity. Take a selfie, Tag @SFShock using #BabyBayChallenge, & Challenge Your Friends! Original story, February 8:San Francisco Shock’s #BabyBayChallenge raises money for mental health charities. When Overwatch League team San Francisco Shock tweeted a picture of player Andrej “BabyBay” Francisty looking like Myspace eye-candy, no-one could have expected the image would lead to a viral charity campaign for mental health awareness. But that’s exactly what happened. Last week, the San Francisco Shock official Twitter account tweeted a link to BabyBay’s Instagram account alongside an awkward black-and-white selfie of the pro player. It didn’t take long for NRG Esports’ vice president of content, Cory Vincent, to tweet his own version of the photo, with the hashtag #BabyBayChallenge, jokingly challenging others to undertake the ‘challenge’. I’ll just leave this here for all of Baby’s Baes… The @KING_BABYBAY instagram is LIVE! Rather than letting the joke end there, San Francisco Shock decided to use #BabyBayChallenge for a good cause. Earlier this week the Overwatch League team announced that, for every person who takes a side-by-side picture that matches BabyBay’s photo, posts it to Twitter and challenges at least one friend, making sure to tag @SFShock, the team will donate to youth-focused mental health charity National Alliance on Mental Illness – San Francisco. #BabyBayChallenge has been picking up steam since the announcement, with esports commentators, fans, and pro players matching BabyBay’s pose for the good cause. Even pets, stuffed animals, and NBA superstar Shaq have participated in the challenge. Seriously, you boys can totally put together a legit calendar. 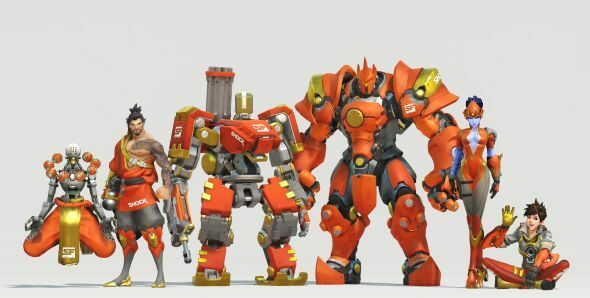 According to Overwatch Wire, back in December the San Francisco Shock and NRG Esports asked fans, via Twitter poll, what issues were the most important to them. The poll determined mental health was the main concern for the majority of voters. San Francisco Shock has since made youth-focused mental health organisations in the San Francisco and Bay area their social initiative. To donate to the National Alliance on Mental Illness – San Francisco, click here.